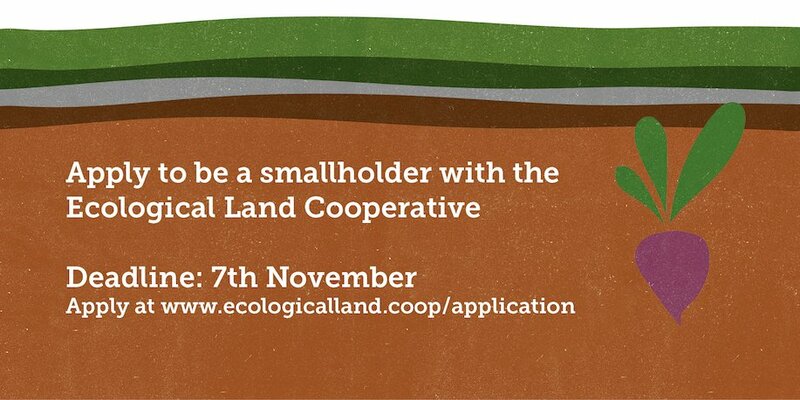 The Ecological Land Cooperative opens smallholder applications for their East Sussex site continuing the work of generating ecological farming opportunities and rural enterprise. The ELC is primarily funded through community share issues — people powered investment — with the remaining funds from grant funding and loan financing. The ELC business model retains the freehold on each smallholding in order to protect it for agricultural and ecological use, and as affordable in perpetuity. The application process to purchase a lease for one of the ELC's three smallholdings in Arlington requires a significant amount of work for applicants, including the submission of a detailed business plan. The Ecological Land Cooperative is part of a growing movement recognising the value to local communities and the economic viability of small-scale farming, as the report 'Small is Successful: Creating sustainable livelihoods on ten acres or less' explains. The combined cost of agricultural land and rural housing makes it incredibly difficult for young farmers to live and work on their own land. Between 2000-2010 new farm entrants accounted for just 4% of agricultural land purchasers. The average age of the British farmer is now 59. The ELC was set up to address this issue and to create opportunities for future farmers. It's a social enterprise, co-operative in structure, established to address the lack of affordable site for ecological land-based livelihoods in England and Wales. Set up in 2009, the ELC purchases land, obtains planning permission, and installs the infrastructure to create clusters of three or more affordable smallholdings for future farmers. A similar model to the FarmStart programme run buy us here at The Kindling Trust. Visit www.ecologicalland.coop for more info.